An expert when it comes to international travel, Gavin Tollman, CEO of Trafalgar Tours, has placed an emphasis on making the travel experience more meaningful to every tourist. Gavin Tollman is an expert in the business of international travel and a visionary in making the travel experience more meaningful to the tourist. In his goal to give passengers everything they expect from a guided travel package, he conducts research to identify those special needs. Looking ahead, he intends to recreate the traditional tourism package into one that offers the individual traveler more flexibility and opportunities. Eventually, he would like travelers to come home from a tour with the satisfaction of having enjoyed an incredible travel experience. Gavin Tollman started out in hotel management with a position at Buckhead Hotel Management Co. As executive vice president during a very difficult period of financial downturn in the industry, he handled all operations at the hotel as well as necessary negotiations involving third party ownership, refinancing and the restructuring of debt. After nine years of service to the company he went to work at Red Carnation Hotels where he held the office of President. His responsibilities included operations and supervision of promotional campaigns for four boutique hotels that were located in Palm Beach and London. 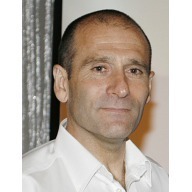 In 1997 Gavin Tollman began working at Trafalgar Tours USA as President. Under his tenure the company grew into the largest European operator of tours in the US. While he was President, Trafalgar also spread into the most internationally popular vacation spots, including those in Asia, South America, Australia, Canada, New Zealand and the US (with special emphasis on Hawaii). Through his introduction of new products and interesting alternatives to organized travel, he was instrumental in keeping the company’s brand name on an even keel while maintaining high standards of quality and reliability. When Gavin Tollman began work at The Travel Corporation (TTC) in 2001, he was responsible for marketing, sales, and operations of Insight Vacations, Destination America, AAT Kings (USA and Canada) and Contiki Holidays as well as Trafalgar Tours. In 2003, he left his position at TTC to become the head of Trafalgar Tours' global sales division, which included product development and delivery along with company operations. Since that time he has evolved into the Chief Executive Officer at Trafalgar Tours. He continues to oversee the sales, product delivery, development, marketing and operations for the company, which is known throughout the world for its highly popular selection of guided tours. In addition to this position, Gavin Tollman is chairman of TTC South Africa and a non-executive director at Wilderness Safaris. During the 2010 Travel Corporation Global Conference, which was held in South Africa, Gavin Tollman participated in creating agreements between TTC and South African Tourism to promote 'Destination South Africa'. He is also a director at Cullinan Business Development, an organization created by TTC to establish cooperation with SA in programs that will increase tourism. As a native South African, Gavin Tollman is keenly interested in promoting that country throughout the world. He now lives in Geneva, Switzerland where he enjoys such activities as tennis and yoga. Gavin is now connected to Nick Melillo. Gavin is now connected to Gregg Brockway. Gavin started following Banckle, and 15 more companies Is That Odd, Inc, SB Click, uBoost, The Mere Idea, Job Rooster, gtrot, VisionRacer, Nimbuzz , Cohuman, Apply in the Sky, DiscoveryCast, Inc., Appsolute Media, GuestVessel, nuAlerts and Vator, Inc.